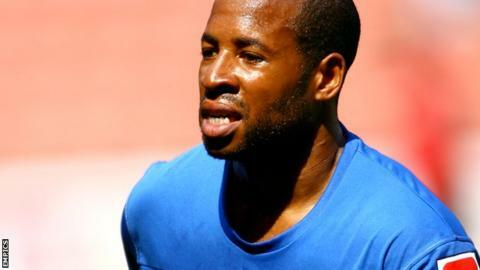 Manager Rob Edwards says Tranmere have been dealt a major injury setback with defender Matt Hill suffering a suspected ruptured Achilles tendon. Hill lasted only 11 minutes of Tuesday's 0-0 draw against Newport. "I saw he thought he'd been kicked in the back of the leg and he hadn't. That tells you that it's something serious." Edwards told BBC Radio Merseyside. "Matt has been a great influence. It will be a disappointment for him and blow to us all. We wish him well." Former Bristol City, Preston, Wolves and Sheffield United full-back Hill, 33, has started eight matches for Rovers since joining in August.